Stand Up chronicles the beginning of the Bay Area Asian American movement through an unprecedented collection of period newspaper articles, documents, and photographs. 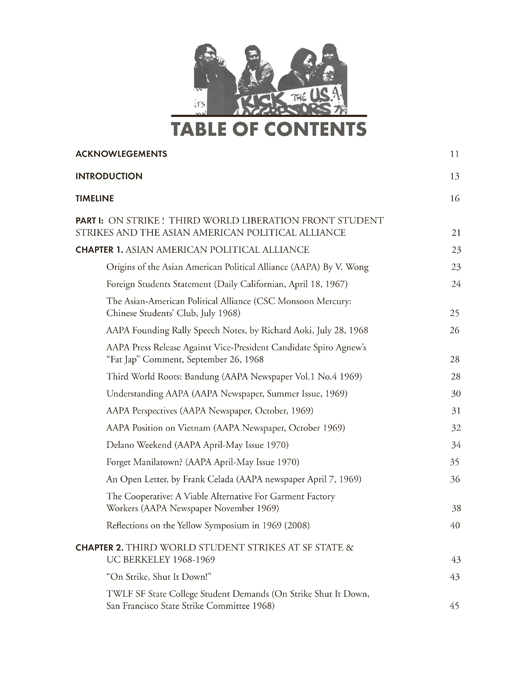 The book includes primary documents and analysis of the Asian American movement from the perspective of its participants. From the Third World Liberation Front student strikes at San Francisco State College and University of California Berkeley campuses, to the formation of the Asian American Political Alliance, this book traces the origins of student concerns and follows the movement into the Asian American communities, by focusing on the International Hotel tenants fight against eviction and the formation of the Asian Community Center in San Francisco Chinatown-Manilatown.